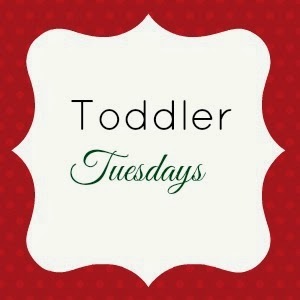 I recently discovered Discoveroo Educational Toys and Games. Discoveroo products are made with plantation wood and were the brainchild of an Australian couple who wanted high quality, wood toys for their three children. Discoveroo was born in 2009. 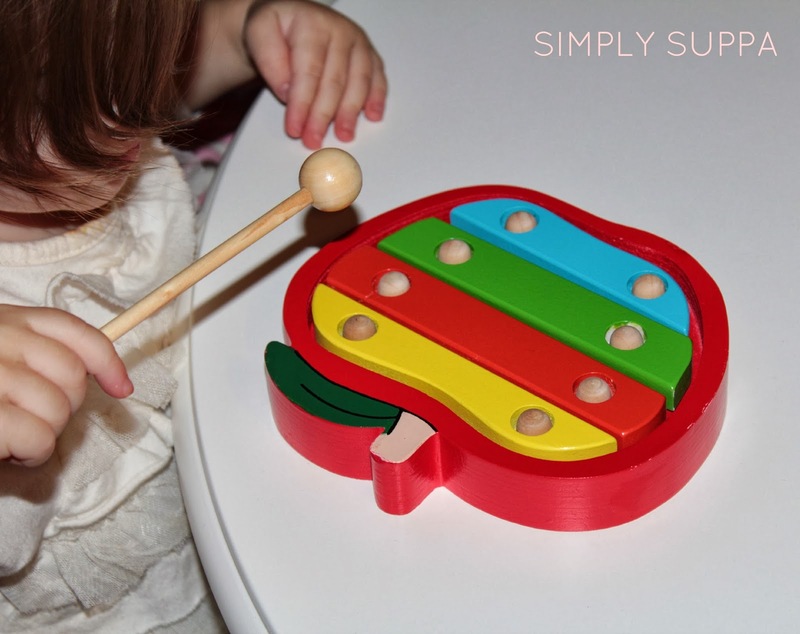 The toys are simple and encourage creative play. Today, they are available worldwide. Isabelle and I had the opportunity to test the Discoveroo Fruit Music set. The set (all made of plantation wood) comes with a xylophone, maraca, clacker, castanet and a few other wooden instruments. The entire set is made to resemble fruit and Isabelle took to it immediately. I liked the fact it wasn't made of plastic, and loved the colours. I was also impressed by the types of instruments provided -- the xylophone is a great addition as it's so versatile. The castanet? A nice surprise; it's a bit challenging for Isabelle's little fingers, but she'll get the hang of it for sure. The set comes with a wooden tray so all the instruments can be stored easily. 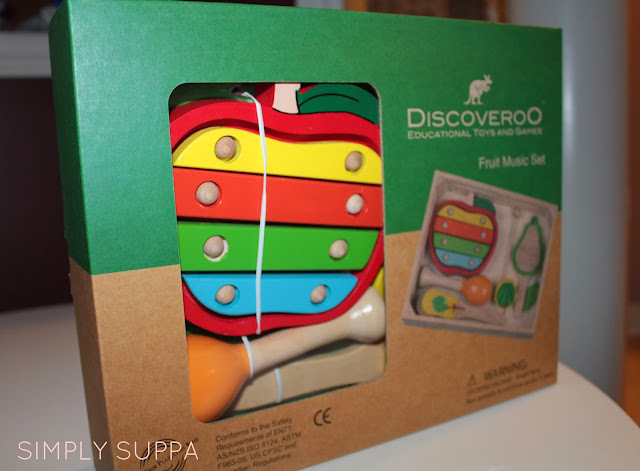 Discoveroo also makes a variety of wooden puzzles and other developmental toys. 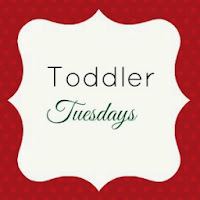 I look forward to checking a few others out for our very creative toddler! A great holiday or birthday gift for sure.